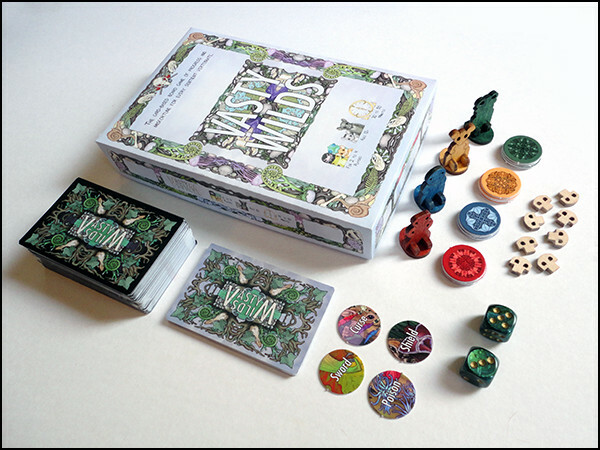 All the bits of Vasty Wilds (except the rules). 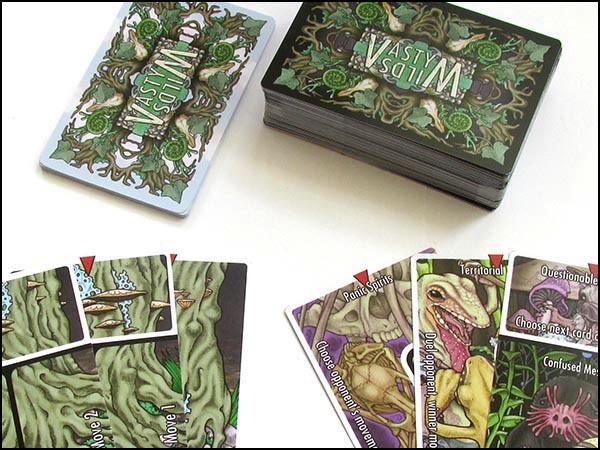 The Root deck forms the foundation of the game upon which the Forest cards are built. 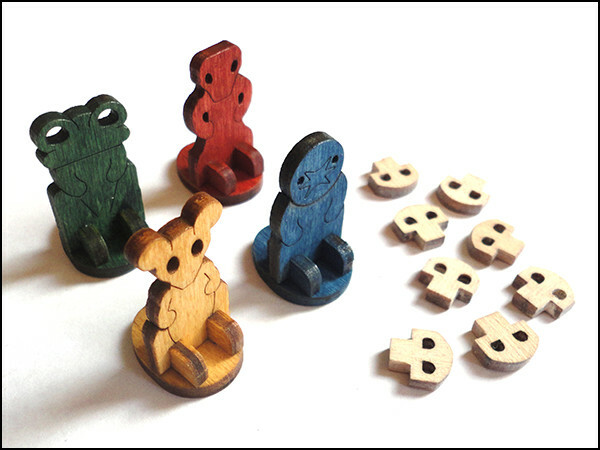 The pawns and damage markers are used to track health. 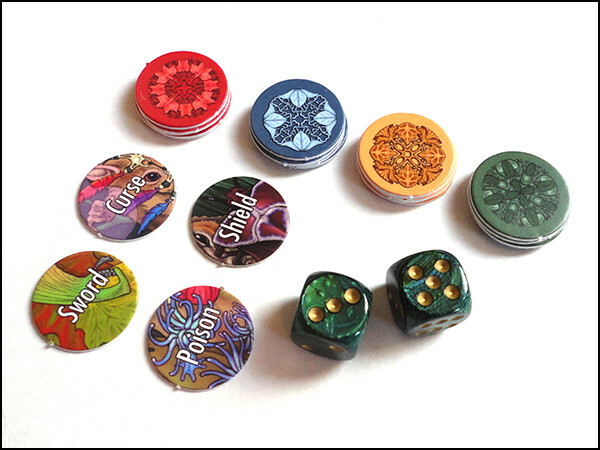 The Objective tokens track who is winning the game. Status tokens track special effects. 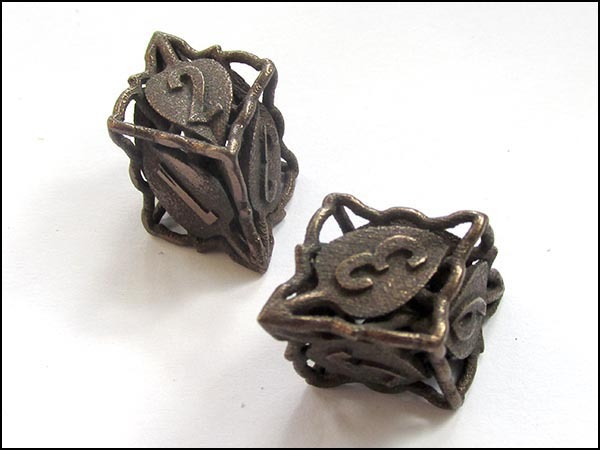 These are the 3D-printed metal dice included with the deluxe version of the game.